For me, years of frustration and zero success on mature blacktails forced a change in mindset and approach. 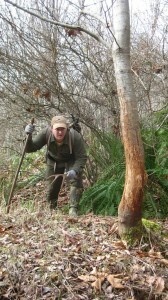 In recent years I’ve slowed down and taken deliberate steps to learn about blacktails year-round. No longer is my scouting limited to a few weeks prior to the opener of bow season; instead I’m constantly scheming and developing adaptable strategies to hunt specific bucks that I locate in early spring and keep track of throughout the summer into fall. Herein I’ll briefly share a few key factors that have helped me break the ice on mature blacktails, but first let’s first briefly examine the evolution of a typical blacktail deer hunter. I’ll suggest there are several levels of maturity amongst serious blacktailers of any weapon persuasion be it center-fire rifle, muzzleloader, or bow. One begins with the simple goal of just seeing deer during the season. To call these deer ghostly has become almost cliché but hey, if the shoe fits. After figuring out the nuances behind finding deer, the next quest is tagging one – any deer. At this stage, you revel in your success and feel a great sense of hunting prowess having finally tagged a blacktail deer. As one begins to sharpen and hone his/her skills, continued success naturally follows. The next phase is what I call the “plateau” – the relatively consistent filling of tags on any deer, which with a bow usually means fork-horns and does. I surmise that is the bulk of the archery harvest in western Washington and western Oregon, and there’s nothing wrong with that. But in order to advance to the next level in this blacktail conundrum, you must be willing to do two things. Let everything but mature bucks walk; and abandon nearly everything you spent years perfecting up to this point. In other words, you’ve got to change your approach to get into the head space of mature deer. You have to begin hunting them differently. This is easier said than done because no doubt you’ve invested a lot of time to achieve regular results. Public Land – Pressure or Paradise? Often it is written, ‘hunt areas others don’t’, or something to that effect. It has taken me a few years to fully realize the value of this sage advice. Over the past few years it has become my core tactic on blacktails. And what I’ve discovered is a key element to my success. 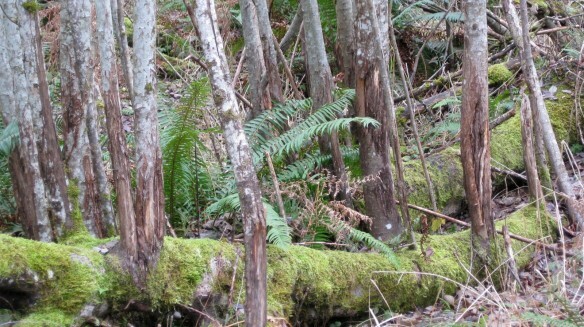 Many of these areas are very thick and border key edge habitat generally preferred by deer. With the aid of on-line County Assessor public records, I can literally scout whole counties from home on my computer. Additionally, I use Google Earth and Microsoft’s Virtual Earth (now Bing) to view more angles and detail. Most of my best deer areas are on public land. The area is literally overrun with people year-round yet I never see anyone in the woods during hunting season. The myth that the only great hunting is on private land is far from the truth. The key is doing your homework and concentrating on smaller more intimate locations. These tiny out-of-the-way areas can be a welcome refuge for an old buck looking to duck out of the rat race come hunting season. Think small and challenge yourself to scout the most ridiculously obvious spots you drive by dozens of times each year. You may be surprised with what you find. As for private land, once I have located a dozen or more potential hunting properties I will contact the landowner with a letter sent via US Mail. Letter writing in general has become a lost art and some folks just like getting mail. I’ve also found that knocking on doors works well in certain regions, but here in the Pacific Northwest it has not proven very effective for me. I believe this is due to a grossly misinformed demographic with respect to hunting in general. In my experience people tend to have a love-hate relationship with deer, or they simply love them and would never allow hunting of any kind. A well-written letter is less intrusive and less confrontational for both parties. In any case, I have dialed in my letter to achieve a near 100% response rate; and around 40% ‘permission granted’ rate. I should also note that your odds increase dramatically when pursuing access to a property where the landowner resides out of state. They are often eager to have someone local to keep an eye on things. In my letter, I offer this benefit in addition to removing dumped garbage, posting signs, etc. I don’t expect something for nothing so I’m happy to frequent properties with my kids to clean up, fix fences, etc. It’s simply a win-win situation for everyone. “Obsessive” is likely the best word to describe my approach to uncovering deer hunting hotspots. All year long I am constantly thinking about finding that out-of-the-way draw, creek bottom, fern ridge, or thicket. I scan the roadside ditches for deer trails and I keep a notebook handy year-round to log deer sightings throughout my travels. Seeing a doe now and again may not seem noteworthy in June but over time these random sightings can tip you off to core home ranges, travel routes or feed areas preferred by does. And later in the year, as the breeding season commences this information becomes very meaningful. Additionally, I keep mental notes of new construction and development activity. 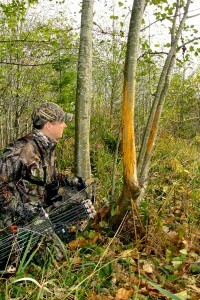 These large-scale disruptions have two primary effects on deer. First, depending upon the size and location of the project, new construction can displace deer, alter their core home range, or concentrate their movement patterns in a new way. Secondly, depending on the project schedule, these projects can open up large areas in the fall only to become a hot new food source during the following spring and summer. I’ve seen housing development sites get cleared, plumbed, and wired for power only to sit idle for two or more years. These sites are likely not huntable but the adjacent easements and properties may be. 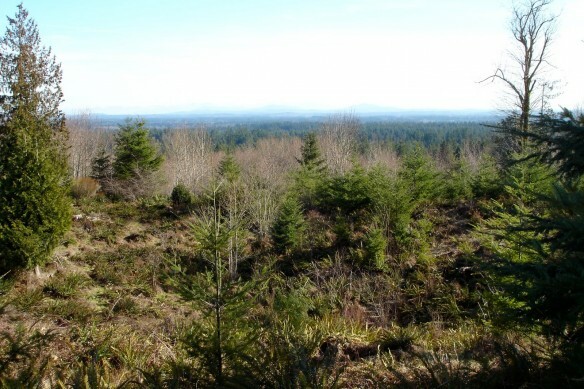 When researching potential places to hunt, be sure to check with your state’s zoning maps. Many on-line GIS/mapping tools allow you to view different zoning overlays, such as city/county lines, wetland easements, firearm restriction zones, and other pertinent data. 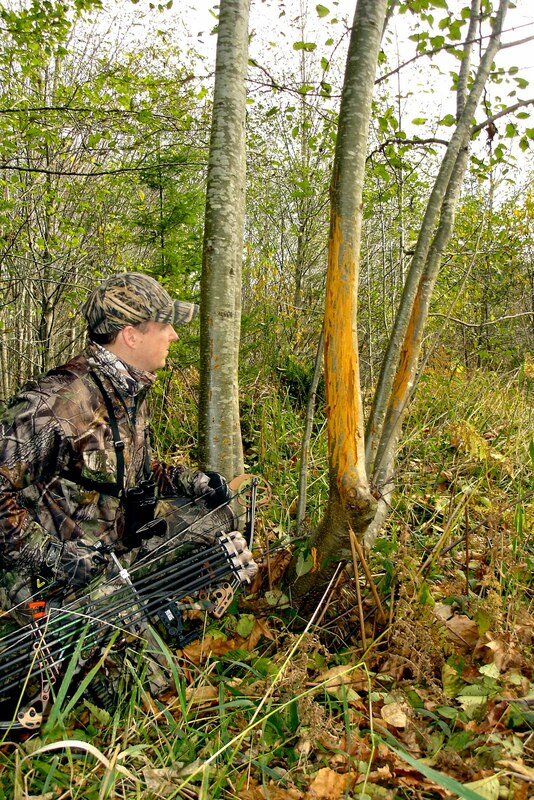 Keying in on firearm restricted areas are key spots for bowhunters to investigate because they may be huntable with a bow. Every state is different so be sure to understand the zoning laws where you plan to hunt. I’ve found that there are a lot of firearm restrictions around rural areas that provide prime habitat for blacktails, thus creating the potential for a population of virtually un-hunted deer during an otherwise pressure-cooker time of human intrusion into the larger deer woods. 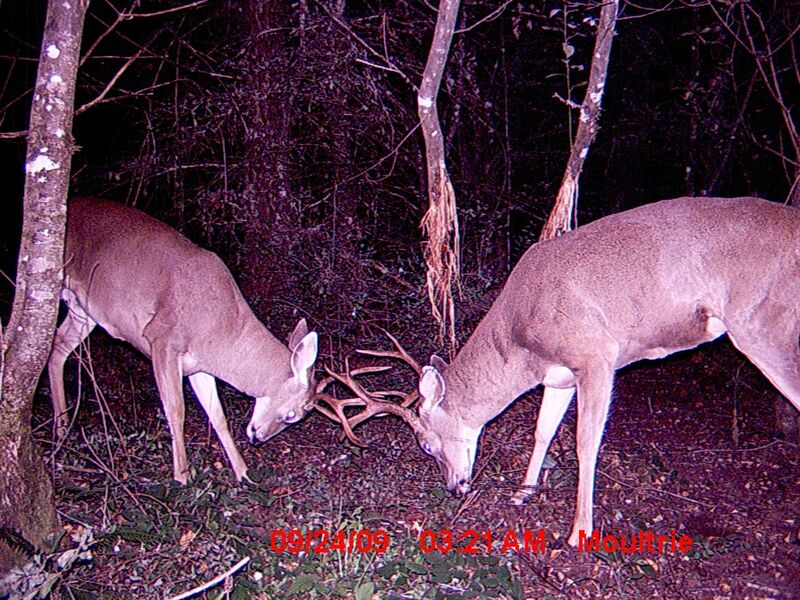 I started employing trail cameras into my blacktail scouting strategy during the summer of 2007. To say this was an eye-opening experience is a gross understatement. In fact, after three years of running up to four cameras year-round throughout my hunting areas, I’ve never actually seen any of the umpteen branch-antlered bucks I’ve photographed. They are like ghosts, hence the proverbial nickname of the Columbian Blacktail – the Pacific Ghost. They go about their daily routines without so much as a fleeting glimpse year in, year out. The clues they leave are readily apparent but you can forget hanging a stand over sign and expecting results. Small bucks and does, maybe. Mature bucks, no dice. It wasn’t until I located a particular young 3×3 that I began to change my thinking about how these deer travel, and when. Though camera activity varies month to month and year to year, I started keeping track of specific bucks by taking notes and plotting locations on aerial photos. With this approach I never know when I’ll be granted a key piece of the puzzle. 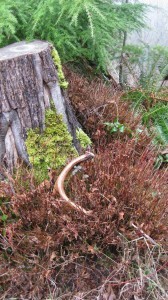 For example, a weathered shed antler might resemble that of a buck on camera a half mile away. I note every detail so I don’t miss a potential connection. 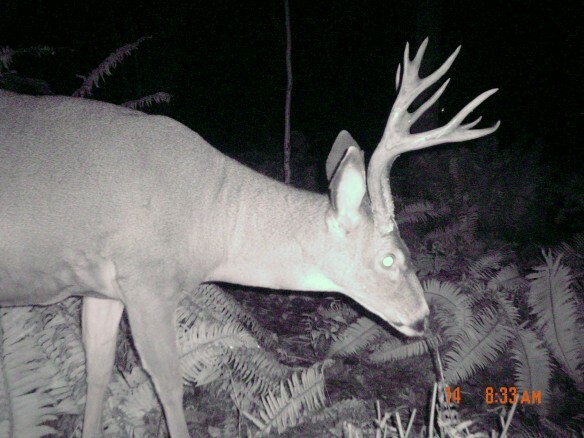 In some cases, it has taken over a year to figure out the relationship between specific bucks’ movements or activities. The puzzle pieces can be few and far between but persistence and an open mind can reveal connections most hunters could never make. 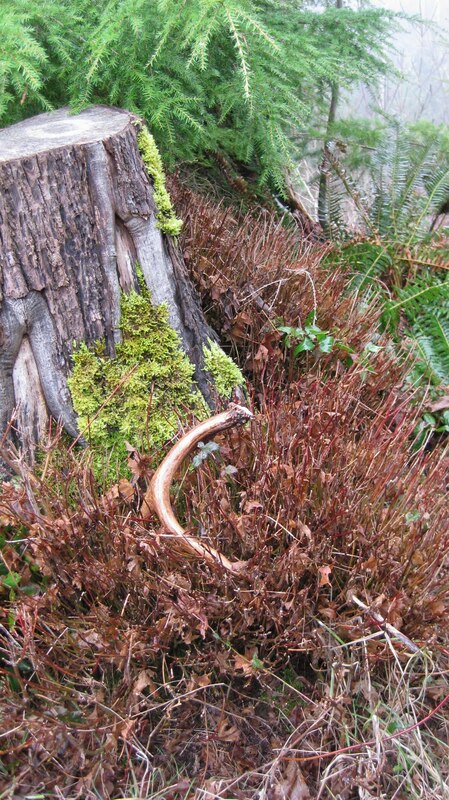 Everything I’d read about blacktails stated they live and die within a square mile or so. I tend to believe this, especially in the thick confines of the coastal habitat I primarily hunt, however blacktails do travel far and wide to partake in the breeding ritual. As most hunters know, the approach for hunting bucks during the rut is different than during the early season. Bucks will wander far and wide in search of receptive doe groups. As they do this they will enter other bucks’ home territory and introduce competition for breeding rights. This is your main avenue into the blacktail psyche, if you will. Not to oversimplify here, but your goal is to get yourself positioned between a love-sick buck and a receptive doe at any point along his path, during legal shooting light. Your approach should stray from hunting sign and instead hunt rutting areas (located the previous late fall and winter) that hold resident does. 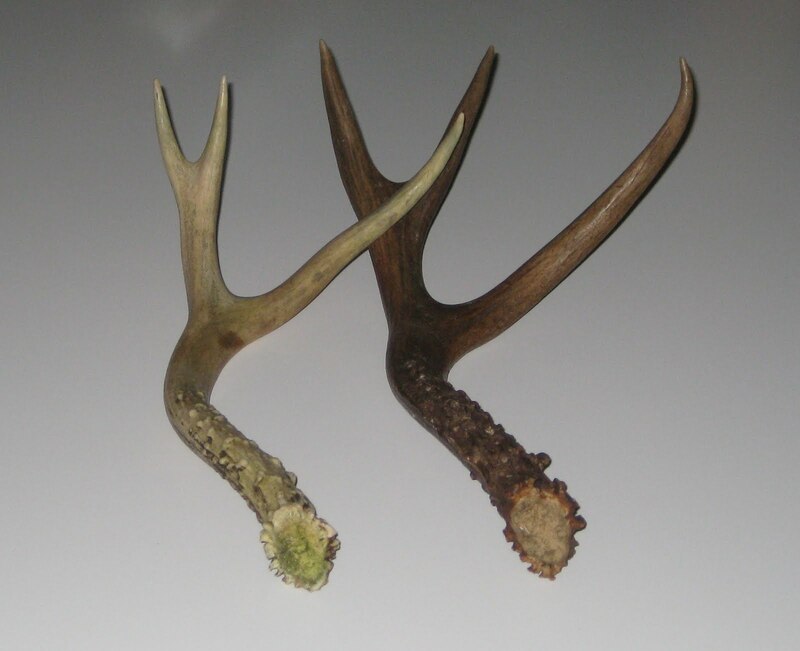 These are the same does you should have been keeping track of during your summer scouting and early season hunting. Unlike bucks, does will remain in their core areas and continue to use their trail networks. Bucks will scent-check these trails regularly to keep current on breeding status of the does using them. They will also learn of any other buck activity in the area and this is where the careful use of scents can pay dividends. I’ve lured bucks right to my stands using scent drags on many occasions. Rattling antlers can also be a very effective tactic. Years ago I rattled in a hefty 4×4 for my college hunting buddy, Mark Koley during a nasty storm. He missed that buck and I’m sure it still haunts him. The best time to scout for these core rut zones, as I call them, is immediately following the close of late deer season. This is when you can really get in and figure out where does are hanging late in the year and it gives you the opportunity to locate areas with a high concentration of fresh rubs. I’ve found that these core rutting areas are peppered with rubs. I’m not talking about a rub here and there; I’m talking about densities that make your jaw drop and your knees weak. Many of the trees will show many years of scarring which is a tell-tale sign that the area is a traditional rutting ground. This is where you want to be come October through November. Part of my game-changing approach has included studying the published research conducted by Charles J. Alsheimer and Wayne Laroche. 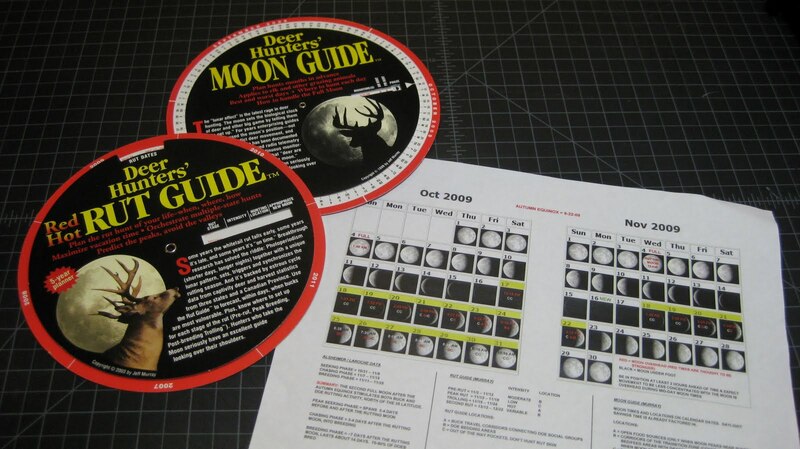 I also studied Jeff Murray’s tools; the Deer Hunters’ Red Hot Rut Guide and the Deer Hunters’ Moon Guide to see how and if the Moon phase influenced blacktail deer movement and behavior. My investigation led me to believe there is reason to consider the moon phase and photoperiodism valuable. I spoke with Jeff Murray about blacktails specifically, and he half-jokingly reminded me that they are deer too! He advised to note the longitude where I hunt and make the necessary time adjustments when using his guides. I did and found the deer activity to be in sync. After mapping all the data sources and compiling the dates, times, moon phases, and locations for peak activity, I devised a plan for the last full week in October. Along with my own notes and observational research, this would prove to be the week to tag a good buck. 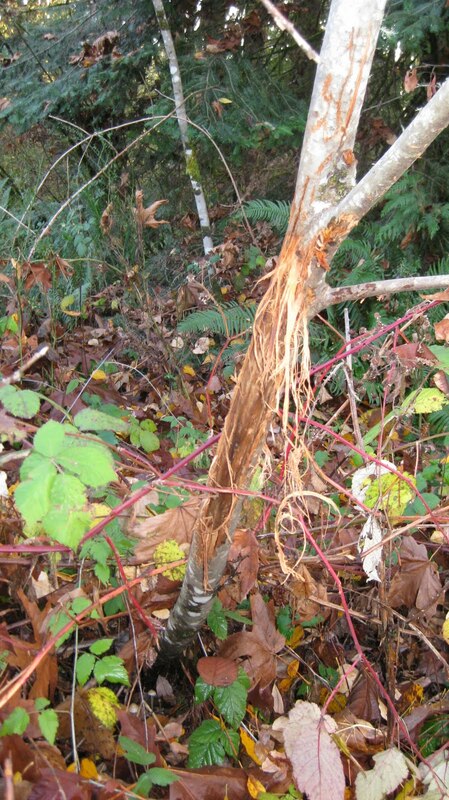 There a many skeptics as to whether lunar factors have any significance in deer hunting. I went into it with an open mind and have learned a lot. It’s fascinating stuff. And while I can’t say it has changed my entire approach to hunting blacktails; it has provided one more data set that may well influence where I hang a stand, or more importantly, when I hunt it. For example, I killed my largest blacktail to date only 3 hours into the season utilizing this new-found information; coincidence? Blacktails are a tough nut to crack, no doubt. Try working in some of these ideas into your own hunting strategies and hopefully you’ll take your blacktail hunting to the next level. Good luck! Over the years I’ve spent considerable time ruminating about deer behavior and bowhunting strategy with notable deer hunting experts: Larry D. Jones, Boyd Iverson, Jeff Murray, Dave Holt, John Eberhart, Scott Haugen, and others. These guys spend an inordinate number of days each year pursuing game and I would like to thank these fine men for their willingness to openly share their invaluable knowledge, expertise, and insights.